Nokia has announced that it will sell its HERE digital mapping business to a German automotive consortium. AUDI AG, BMW Group and Daimler AG will all have an equal stake in HERE and will pay around 2.5 billion Euros to seal the deal. It is expected that the deal will be completed in Q1 2016. We reported on HEXUS nearly a fortnight ago that this German consortium deal was likely to go ahead. It is thought that the German auto makers are motivated by plans to build self-driving cars and would like to have technology in-house rather than rely on relationships with companies such as Google, Apple or TomTom. The divestment is another step in Nokia's transformational plan. Talking about the deal, President and CEO of Nokia, Rajeev Suri, reminded industry watchers that Nokia has already integrated the former Nokia Siemens Networks and sold off its Devices & Services business. Suri said that Nokia will be a renewed company with "a world-leading network technology and services business (Nokia Networks), as well as the licensing and innovation engine of Nokia Technologies," once the merger with Alcatel-Lucent has completed. We saw a reinvigorated Nokia launch into a completely new market last week when it revealed the OZO virtual reality camera. From the German automotive consortium side of the deal, Daimler Chief Executive Dieter Zetsche said "With the joint acquisition of HERE, we want to secure the independence of this central service for all vehicle manufacturers, suppliers and customers in other industries," reports Reuters. Currently HERE is focussed upon developing precise and accurate mapping with an eye on automated driving. HERE President Sean Fernback said that the new owners "will allow us to accelerate our strategy," and help to scale the business. At the time of the deal automakers, not smartphone users, were already the major customers of HERE. 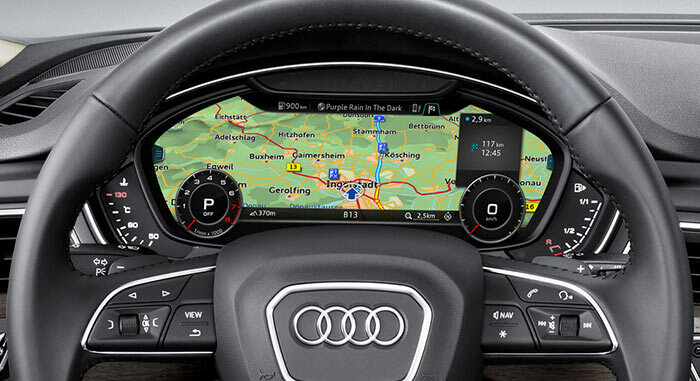 As well as being an attractive differentiating service to drivers, future built-in navigation systems could also earn the automakers money via location based services, for example.